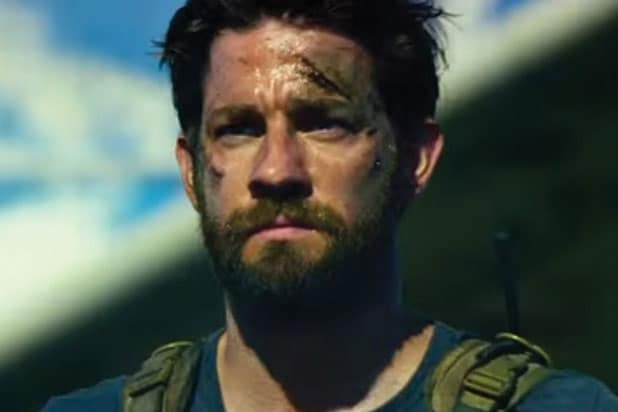 A woman was accidentally shot during a screening of Michael Bay‘s “13 Hours: The Secret Soldiers of Benghazi” in a Washington state movie theater on Thursday. Investigators said that the two parties didn’t know each other, but the man seemed to be intoxicated as he fumbled with a gun at the Renton Regal Cinemas. The police report says that at about 9:41 p.m., a father called 911 and said that his son “was distraught and had told him he dropped his gun at a Renton Landing theater and it had discharged.” Authorities were able to confirm that he was the suspect. A spokesperson for the Harborview Medical Center told the Associated Press that the woman’s condition is no longer critical and is expected to recover. She had a gunshot wound to the torso. Renton Police Department public information officer David Leibman told TheWrap that the man was able to bring a gun into the theater because “it’s legal in Washington to carry a concealed weapon and you are allowed to bring a gun into a business unless the business prohibits it.” Leibman also said that the man’s gun was legally owned and he had a concealed weapon’s permit.